UKinbound has released a report that uncovers a growing a language skills gap facing the UK tourism industry, caused by a combination of Brexit and the decline of language training in the UK. The new research undertaken by Canterbury Christ Church University highlights the current lack of capacity in the UK’s education system to meet the shortfall in higher level language skills which are badly needed by the UK’s inbound tourism industry. To date, tourism organisations have been largely reliant on EU nationals for their technical and ‘soft’ language skills and concerns are rising in the industry about the attrition of these employees. Approximately 130,000 EU nationals departed the UK in the year to September 2017– the highest number since 2008. Furthermore, a sharp decline in the number of young people studying a foreign language, arising in part from changes to government policy since 2002, combined with a lack of awareness of the opportunities and career paths open to language proficient graduates in the tourism and hospitality sector, are major contributors to the widening language skills gap in the sector, at a time when access to future EU employees is uncertain. Of the 78 institutions offering tourism and/or hospitality undergraduate programmes in the UK, only 25 offer languages as part of their tourism/hospitality curriculum. 45 institutions offer 87 postgraduate tourism/hospitality programmes – yet only 6% of these programmes offer a language, as an optional module. From a sample of 43 higher education institutions that offer a single honours modern language degree programme, only 16 mention tourism as a career prospect. Interviews with modern language programme directors highlighted a lack of knowledge of the tourism sector and tourism specific career pathways. The audit identifies Institution Wide Language Provision and study abroad opportunities as alternative ways for students to add an international dimension to their studies. Spanish increased from 4.1k to 7.5k. German is no longer a dominant language taken at A-level. French and Spanish continue to be key languages, despite the declining popularity of French. 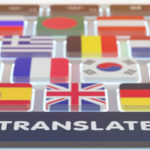 There has been an uptake in the study of key UK inbound growth market languages; Mandarin and Arabic, but the growth of the talent pool here is slow and limited. Social, regional and gender inequalities in the uptake of languages are striking. The number of UK universities offering language degrees has dropped by 30% between 2000 and 2015. UKinbound’s Chief Executive Deirdre Wells said, “The UK is currently the fifth most visited country in the world and our inbound tourism industry in 2017 contributed an estimated £25 billion to the UK economy. Those working in tourism need to be able to communicate effectively with their international visitors and our tour operators in particular need employees who can communicate confidently and negotiate contracts with overseas operators and suppliers. The industry currently employs large numbers of workers from the European Union to fulfil these roles, but our members are reporting that many of their EU employees are starting to return home. They are struggling to find replacements from within the British workforce, predominantly due to their lack of advanced language skills. The report findings coincide with the launch of UKinbound’s campaign to highlight the contribution of tourism from EU countries to the UK economy, and to impress on the Government the urgency of securing either no, or minimal, barriers to inbound tourism from the EU post Brexit. The tourism industry is the UK’s third largest employer, employing 3.1 million people (over 9.6% of the UK workforce) and contributes £126 billion to the UK economy, (7.1% of GDP). The UK receives 67% of its tourists from the EU. A summary report and the full report can be downloaded at the links below.